Serving areas: Columbus, New Albany, Blacklick, Westerville, Worthington, Pickerington, Lewis Center, Gahanna, Pataskala, Dublin, Powell, Hilliard, Grove City & Many More! We specialize in backyard parties, school & church festivals, block parties, company events, picnics and any other events where fun is a #1 priority. Our equipment is clean, safe, and delivered to you on time to make sure your event is one your guests will remember. Your safety and enjoyment are our priorities. Serving areas: All of Ohio including Akron, Cincinnati, Cleveland, Columbus, Dayton, Mason, Middletown, West Chester. 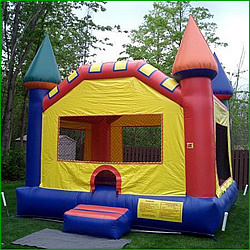 We have inflatable party rentals to include bounce houses, slides, obstacle courses, jousting, boxing and more. 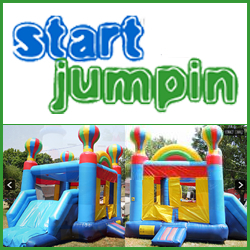 We also have a Rock Climbing Wall and Dunk tanks available. Our inflatables are inspected & insured. 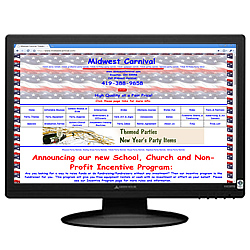 Call us for your next Festivals, Church or School Event, Company Picnic or birthday parties. Call today 513-594-8556 or 937-847-8756. 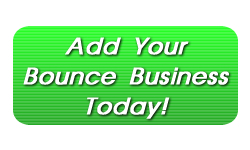 Bounce and Theme Parties at your location or ours! 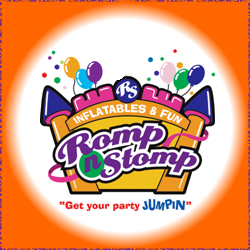 Romp n Stomp Activity Center is available for private events and features indoor inflatables and play equipment. 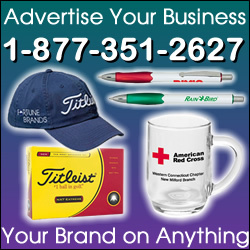 We also offer theme parties hosted in your home or at our 12,000sf CLEAN facility. From a backyard boucing bash to an elegant tea party, we can plan every detail of your special event. For added entertainment we feature Princess and Character Visits to surprise the birthday child. Or if you just need a helping hand, our Ambassitor of Fun will assist before, during and after your event. 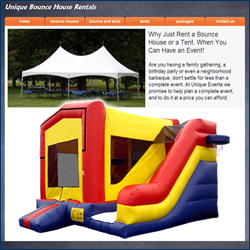 Unique Event Rentals specializes in providing complete party experiences for kids and adults as well. 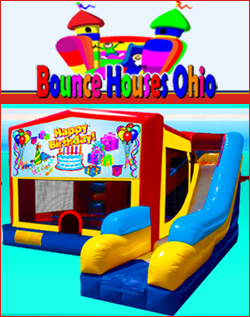 With a large inventory of Bounce Houses, Party Tents, Tables and Chairs we can turn any party into an event. 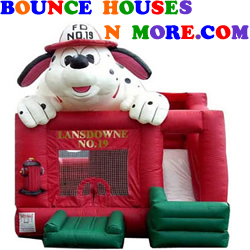 We offer high quality party and bounce house rentals at prices you can afford!